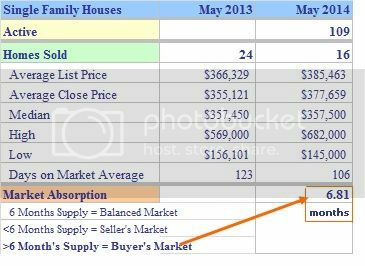 The Monroe CT single family real estate sales for May 2014 decreased 33% as compared to May 2013, but average list and sales prices INCREASED 5% and 6% respectively. The median home price was relatively flat and days on the market went down 14%. Sales were UP 77% from April. See annual chart below. The market absorption rate for the month was 6.81 months meaning it would take 6.81 months to sell off the present inventory keeping Monroe in a buyer's market statistically. Futures show 27 houses under deposit and 23 properties under contract. 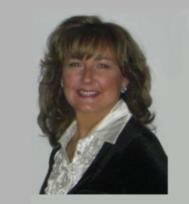 Sellers: Please read Biggest Home Seller Mistakes if you are thinking of listing your home. What do you think the #1 biggest mistake is? 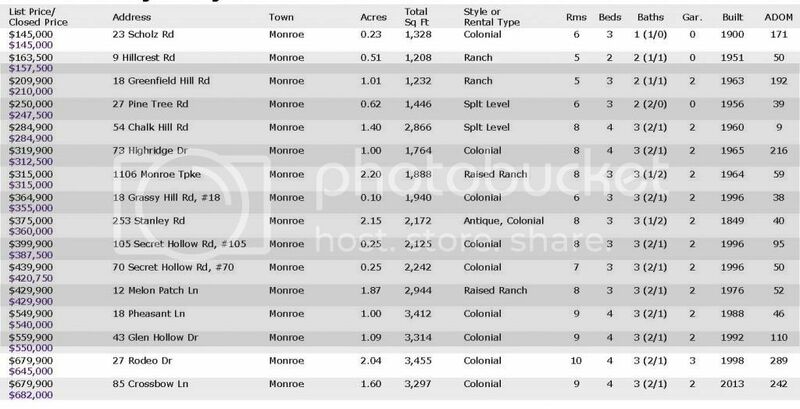 Which houses attracted buyers and sold in Monroe CT in May 2014? The absorption trend, which shows the number of months it would take to sell the entire inventory at the same pace, came in at 9.34 for the last three months, which statistically is a strong buyer's market. The usual 'sweet spot' of the $300K-400K price range held its position this month accompanied by an even spread across price ranges. 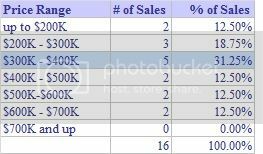 Date Source: Greater Fairfield County Multiple Listing Service -- June 21, 2014. No representation or warranty is made to the accuracy of this information.